GoTask giveaway! 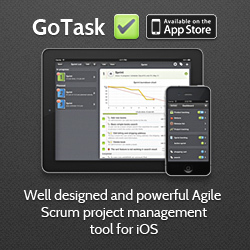 Win free GoTask app for your iPhone and iPad! There is a competition! The prize is 1 of 5 free GoTask iTunes codes. More details on our contest page: http://go-tap.com/gotask-giveaway.html. Good luck! iOS Developer from Poland, always looking for some cool and useful technologies. Recently playing around with Cocoa Touch. Copyright Krzysztof Ściański. All Rights Reserved.